Intensive and long-lasting treatment that smooths and relaxes the skin. Its restructuring “shock action” restores skin tone, reshaping the epidermis and counteracting sagging skin. The Hyaluronic Acid moisturizes and volumizes in synergy with collagen and aloe to promote the disappearance of wrinkles and stimulate cell regeneration. The light texture moisturizes without leaving an oily sensation on the skin. Ideal for mature and stressed skin and to counteract signs of fatigue. INDICATIONS: Intensive care, repeat two/three times a year or when the skin is under prolonged stress. 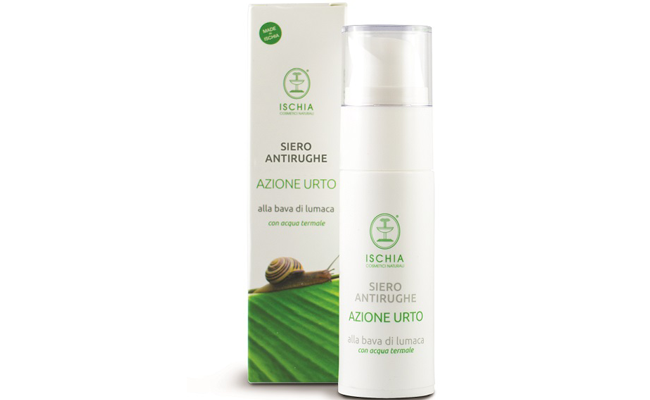 Follow treatment with the multifunctional snail slime anti-wrinkle cream. INSTRUCTIONS FOR USE: Apply the cream on cleaned face, massaging lightly, stroking from bottom to top.